Looking for sour pumpkin beer and pumpkin carving all in one place? With the leaves and our wardrobes changing into fall colors, the Smithsonian invites you to embrace the transition with A Party for the Season: A Garden of Colors, coming up Friday. 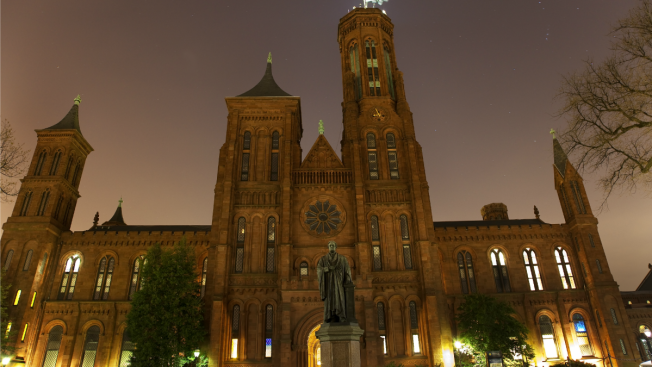 From 8 to 11 p.m., enjoy a one-time-only beer garden and dance the night away with DJ Alkimist in the Enid A. Haupt Garden at the Smithsonian's fabled castle (1000 Independence Ave. SW). Smithsonian staff will also be leading a guided tour of the grounds, with a special focus on fall seasonal plants. The beer garden will feature seasonal specialties from Ommegang Brewery, a New York brewery specializing in Belgian-style ales, and Boulevard Brewing Company, a Missouri brewery offering a sour pumpkin beer. You'll also find a photo booth to remember the evening with your friends and a pumpkin-carving demo to make your upcoming Halloween all the more special. Tickets are $25 and you must be 21 or older; they're available online here. A VIP special offers a special pre-party hour with an open bar featuring beer, wine and specialty cocktails and small bites for $50.